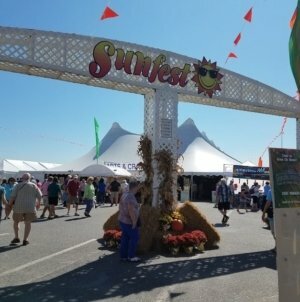 There’s a lot going on during the four-day weekend that is Sunfest. 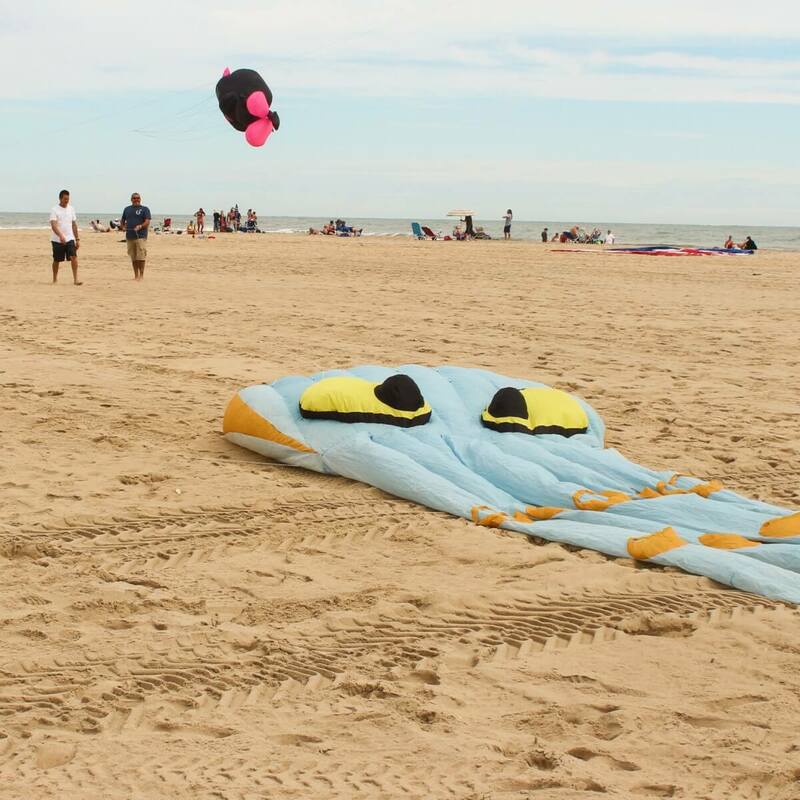 From the live music to the games to the shopping, sometimes you need to throw down a beach blanket and just chill out. 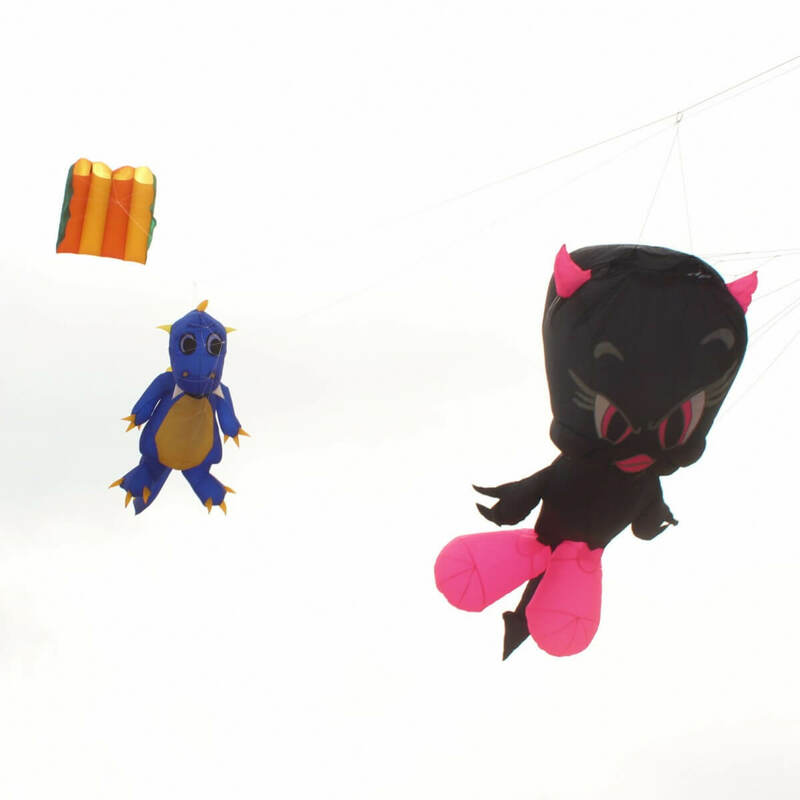 That’s where the Kite Festival comes in. 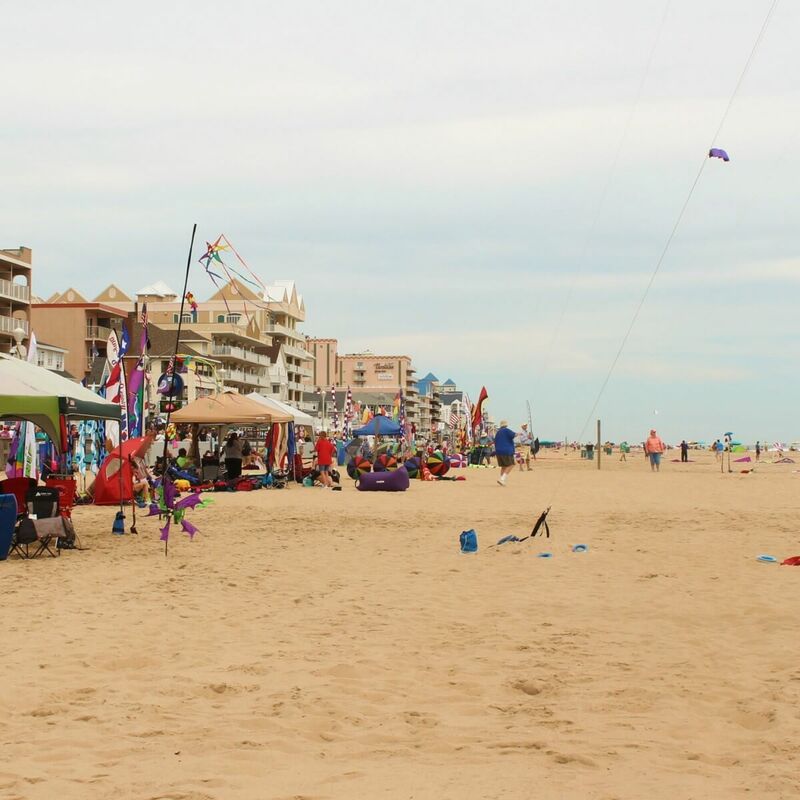 Walk just a few streets up the boardwalk and on the beach across from the Kite Loft you’ll see the tents, the spectators and, of course, the kites. 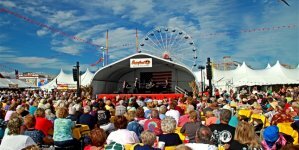 Sunfest’s high-flying sister festival is where you get to take a break from all the commotion down at the Inlet and just stare up at the sky. 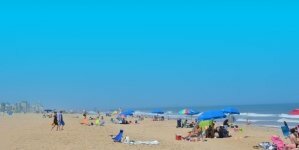 There’s also a number of games, candy drops, sport flying demonstrations and bubble art, but I prefer to lie in the sand and watch the colors swirling in the clouds. And take the occasional photo. Because on a year when Sunfest is actually sunny and there’s enough wind to keep the kites in the air, you’ve got to document the small miracle. 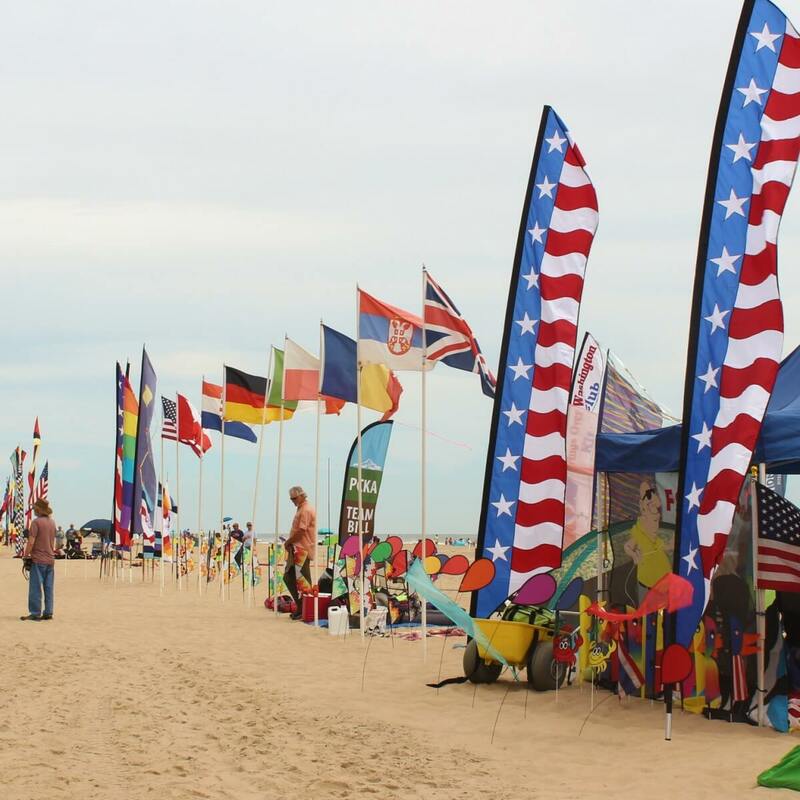 As you near the Kite Loft on 5th street, you’ll start to see the line of colorful tents set up in the sand. 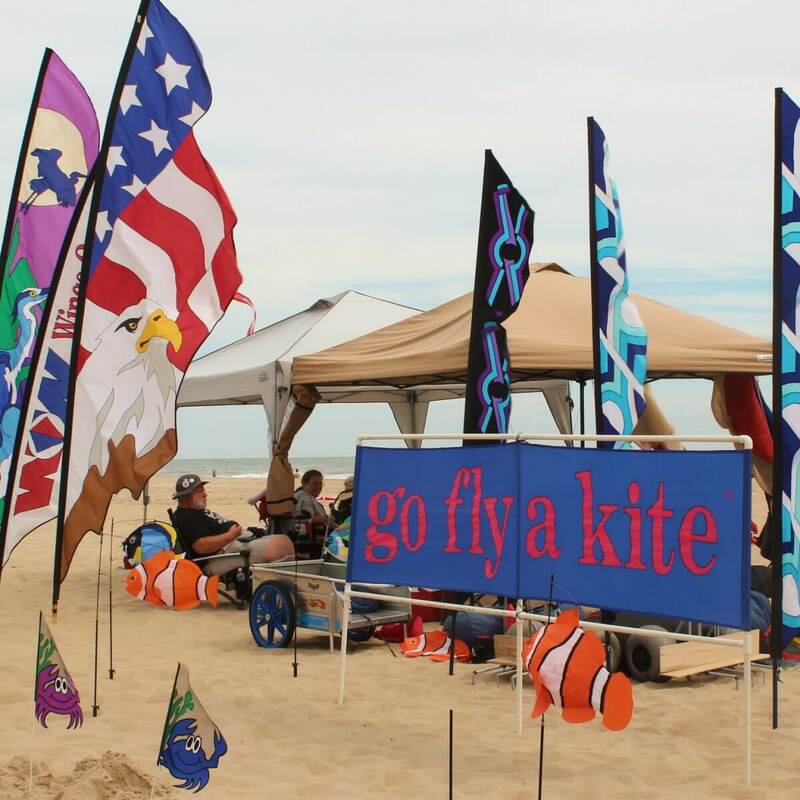 Outside the tents are lots of kites. 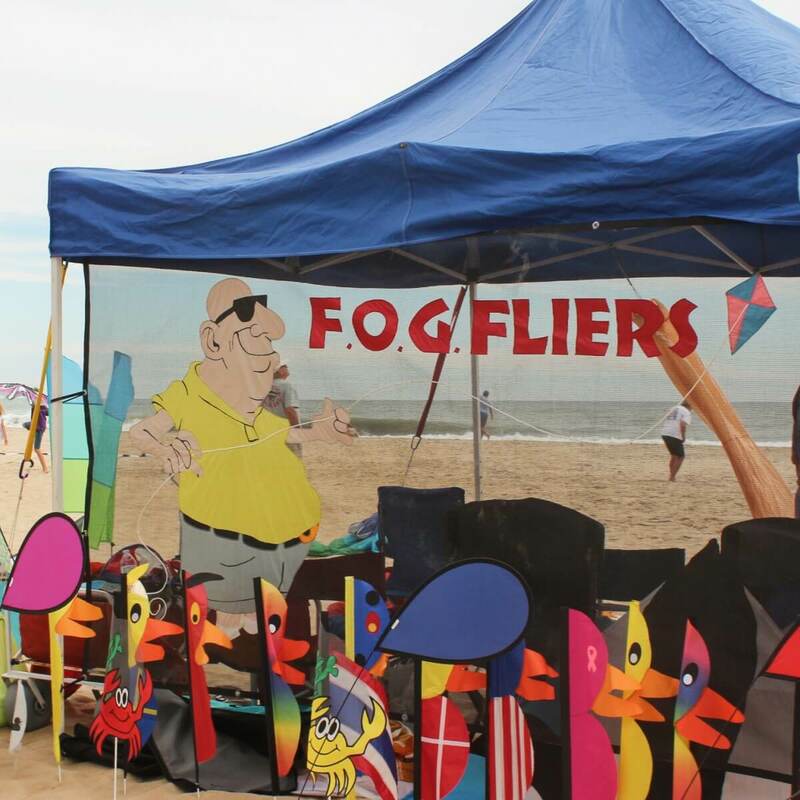 Inside the tents are kite enthusiasts and even whole organizations of dedicated kite fliers. 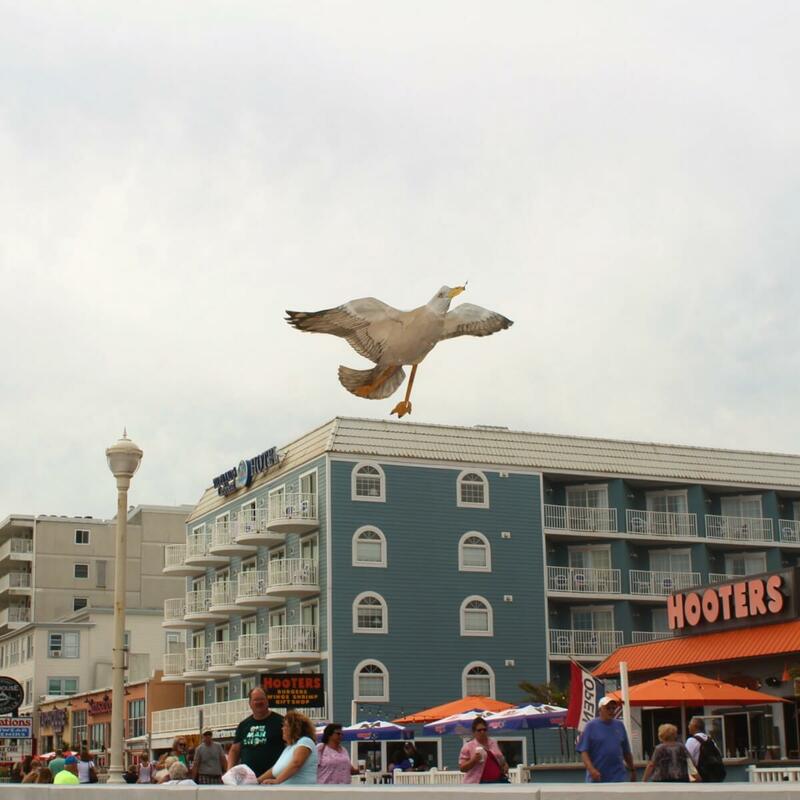 If you’re me, you might just have a mini heart attack thinking that a weirdly floppy and lightweight seagull has attacked your face, before realizing that it’s just a really, really realistic seagull kite. 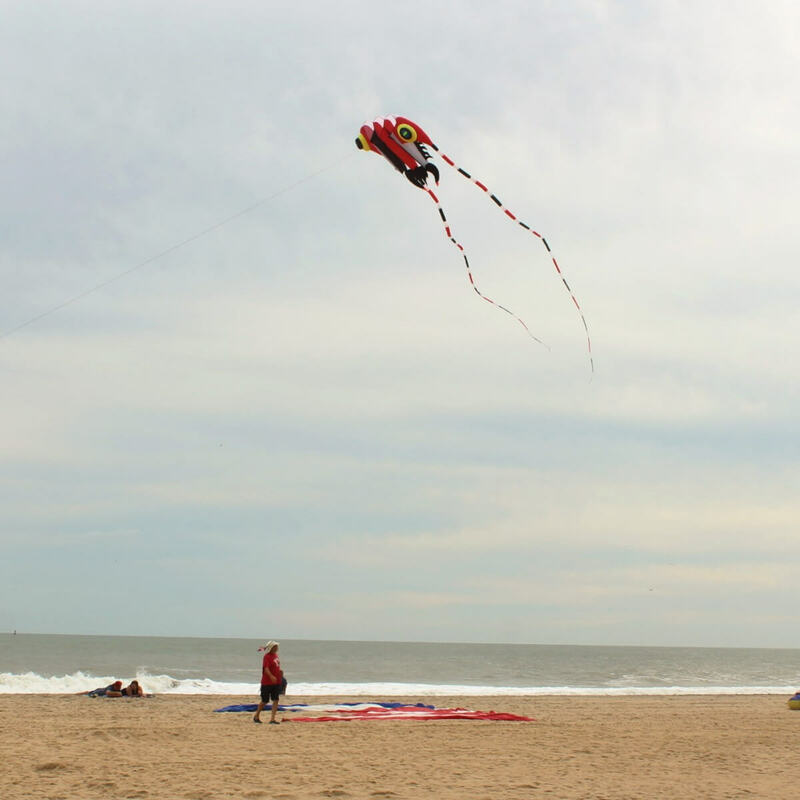 The closer to the water, the better the wind power. 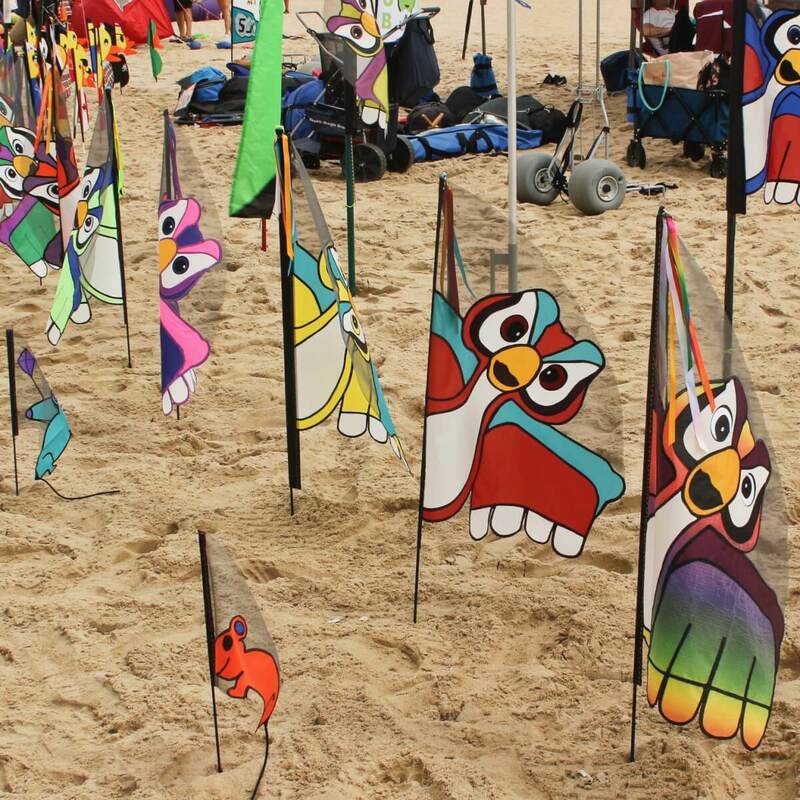 Owl and mice kites propped up in the sand. Rain, shine or F.O.G., the F.O.G. 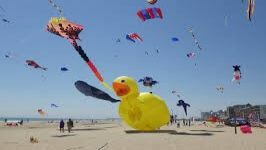 Fliers will be at the festival with duck n’ crab kites in tow. Is it a dinosaur? A dragon? 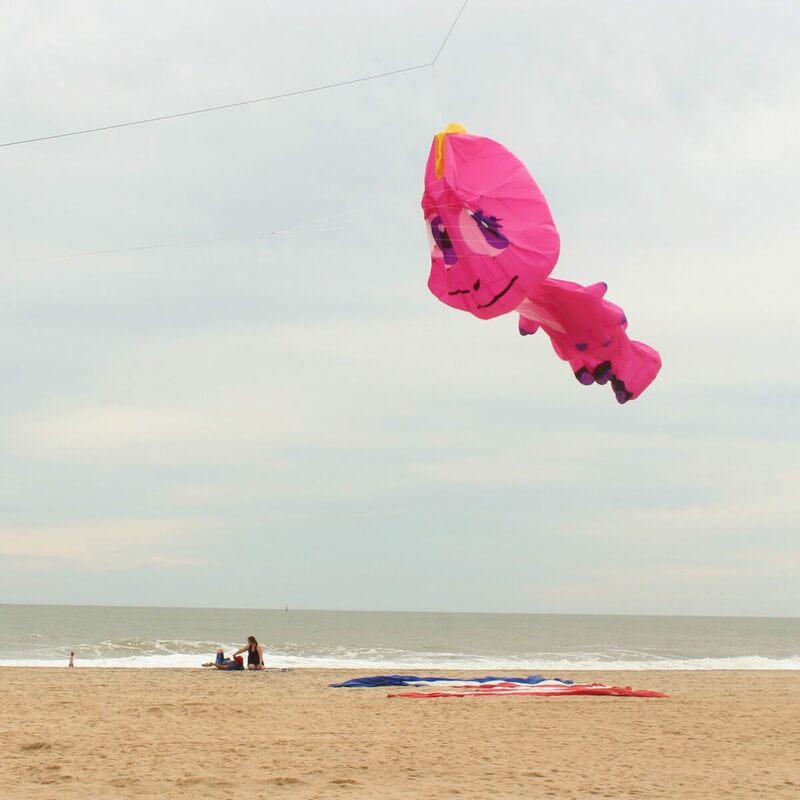 A My Little Pony? You decide. Animals, real and mythical, are always a common theme up in the sky. 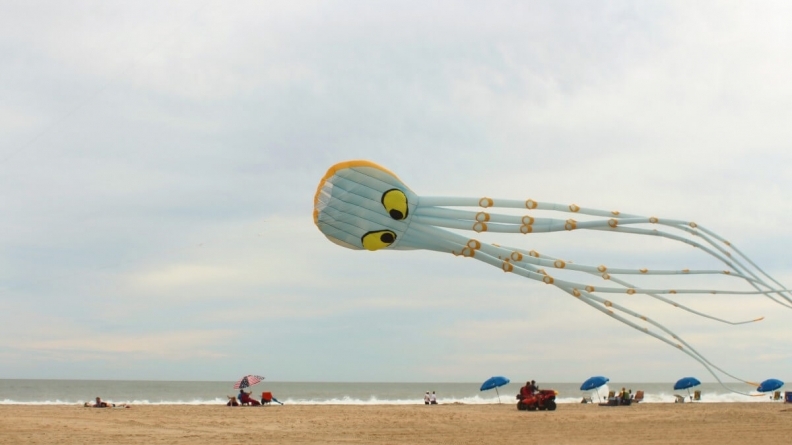 This octopus was trying his hardest to get up into the air, but he was sort of a fish out of water. 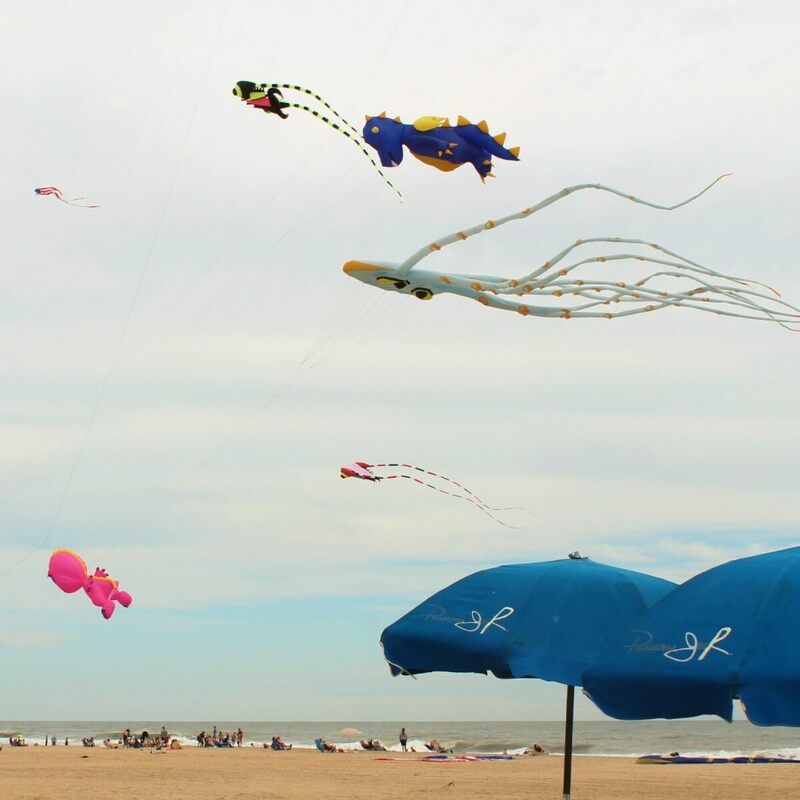 Stick around this weekend, because there will be even more kites tomorrow?